Summer is upon us and among the many activities happening during this time of year is the hiring of interns by Nebraska companies. Internships are a valuable opportunity for college students to gain real world experience and forge valuable connections in the professional world. In order to facilitate this growth experience, the state of Nebraska offers the Intern Nebraska (InternNE) program as part of the state’s strategic economic initiative called Nebraska Advantage. Nebraska businesses can apply to this program and gain full or partial funding for the paid internship they are offering. 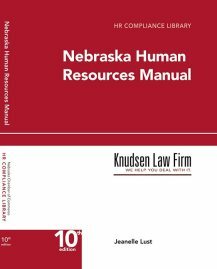 Recently, the Nebraska Legislature passed LB 476, which makes important and exciting changes to the InternNE program. After the passage of LB 476, there have been a variety of changes in the eligibility and compensation areas of the InternNE program. The changes will take effect for businesses applying to the InternNE program on or after September 1, 2013. This blog post will summarize these changes and how they relate to businesses that apply for a grant through InternNE. One major change will be a paradigm shift regarding the eligibility of businesses who can receive funding from InternNE. The new emphasis will be on the quality of internship offered rather than the type of business that provides the internship. This change broadens the scope of businesses which can apply for funding, most notably; non-profit groups may now apply for InternNE grants. Second, the new requirements will no longer require businesses to offer 200 minimum hours in 12 weeks or less. Instead, the changes focus on the duration of the internship coupled with the quality of the internship, which allows the selection committee to make a more individualized determination on the internships to fund without regard to the earlier, more rigid requirements. Finally, keeping with the theme of broadening the scope of funding, LB 476 expanded the type of students eligible for this funding. The new changes allow funding for all full-time students who are enrolled in colleges or universities in Nebraska, or students who are Nebraska residents attending colleges or universities outside Nebraska, as well as students who have graduated college within six months. This expansion signals a significant departure from the old funding scheme which only accepted full-time students who had completed at least one half of the required credit hours for an associates or Bachelor’s degree. Another major change involves the amount of compensation businesses may potentially receive from the InternNE program. The selection committee will now have the discretion to award up to 75 percent of the cost of the internship. Further, businesses that hire Pell Grant students will be eligible to receive a $7,500 reimbursement per internship. All other businesses will be eligible to receive up to $5,000 per internship. The changes announced in LB 467 are meant to enhance the Intern Nebraska Grant Program and assist an increasing number of students in finding opportunities and growing professionally. For more information on the Intern Nebraska Program, please visit its website found at this address http://www.internne.com.